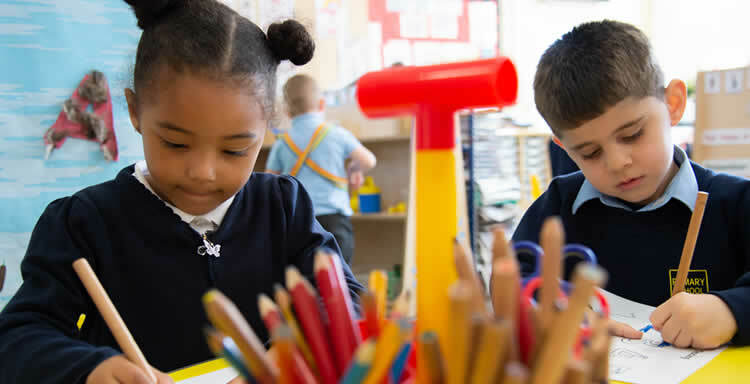 At Archibald Primary School, pupils in the Nursery and Reception Classes follow the Early Years Foundation Stage (EYFS) curriculum. Pupils in Year One and Year Two follow Key Stage One of the National Curriculum. They follow the Read, Write, Inc (RWI) scheme for phonics. Pupils in Years Three to Six follow Key Stage Two of the National Curriculum. Mathematics, English, Science, History, Geography, Art, PE, Music, Information Technology and Design Technology. Personal, Social and Health Education (PSHE) lessons are also taught, together with Citizenship. A Modern Foreign Language (French) is taught as part of the KS2 curriculum. Reception and KS1 pupils learn basic French vocabulary in preparation for starting French lessons in Year 3. The National Curriculum document is available in school for parents to view. It is also available online here. Religious Education is provided in school within the framework of the Middlesbrough Agreed Syllabus for Religious Education. The parents of any child may request that he/she be excused from collective worship or Religious Education lessons. In these instances the child will not be included and alternative provision will be made for them.